Jeremy Corbyn has pledged to start buying up shares from the ‘Big Six’ energy companies until the government owned a controlling stake. By doing this, he aims to nationalise not only the big six but also the National Grid. Corbyn is currently the second favourite to win the Labour leadership election which is due to take place later this month. He has taken many in the party - and himself - by surprise by winning more constituency party nominations than any of his rivals. 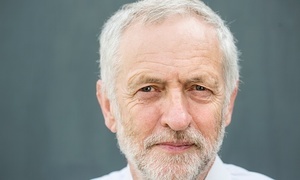 Yesterday Mr Corbyn rounded on Labour critics of his economic plans by insisting that many wealthy people would be willing to pay more tax in return for better services. He hit back at accusations from rivals that “Corbynomics” amounts to “deficit denial”.